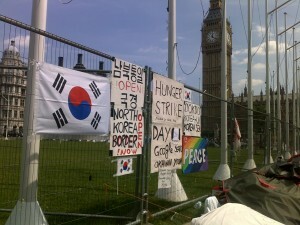 Posted by maria on August 1, 2011; This entry is filed under HUNGER STRIKE KOREA. 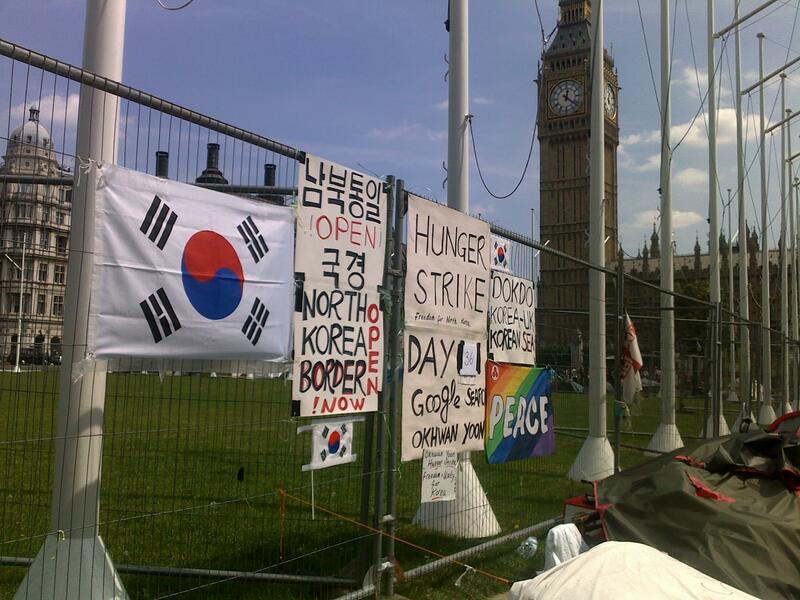 Okhwan Yoon is from SOUTH KOREA and started his hunger strike at Parliament Square on the 26th June 2011. He has been travelling Internationally for the past 10 years visiting 192 countries. His mission has been to spread the message of peace, love and unity for all people wherever and whoever they are. He has journeyed through the mountains of Afghanistan and also ventured into Iran. He has been made welcome and treated with respect wherever he has gone. Sadly and ironically, he has as yet, not been able to visit the northern part of his country KOREA.